Mortem Vetus are proud to present Carved In Stone 01 - A Step In Time. 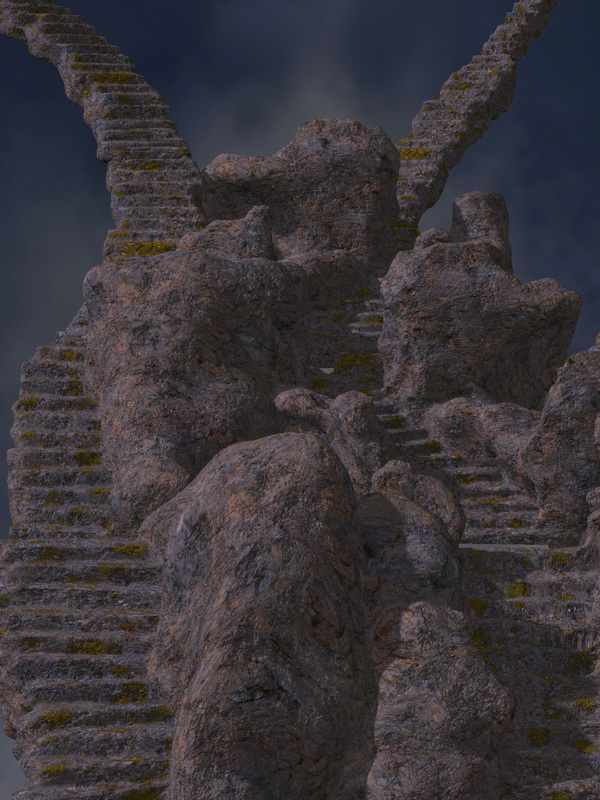 This set of carefully crafted props brings ancient stairs to your renders. These props are ideal as part of a larger scene, but are just at home in a small close up scene. Included are 4 props with accompanying mirrored versions, plus ten Old Stone materials. Each of the props has a selection of morphs for changing the appearance. So whether you need just a small section of old stone stairs, or an Escher-esque maze of overlapping stairs, then this pack is just the ticket.